Oatmeal, hypoallergenic shampoo is great for dry skin, organic ingredients like aloe Vera, rosemary, and coconut. There is scent-free dog shampoo which means it’s good for dogs with sensitive noses as well as sensitive skin. Shampoo for itchy skin lanolin based. Amway Liquid Organic Cleaner diluted for yeast infections on feet after a bath can kill the bacteria of brown discolored hair and staining on white dogs. also good for dogs with eczema skin use a lanolin based conditioner or Argan oil in the rinse wash. The robust ball fetching water bearer mud rolling working dog needs a shampoo like a sports’ person needs their sports’ cosmetics. Supermarket shampoos are OK but like your hair dresser wouldn’t say pop down to the local store and buy your shampoo that’s equivalent to dish washing liquid and that’s why it’s cheaper it also is highly toxic containing degreaser yes its cheaper than the hairdressers brands with the Keratin and it always smells nicer, human shampoo for dogs strips the natural oils that waterproof the coat from the rain. and protects them from the seasonal elements. 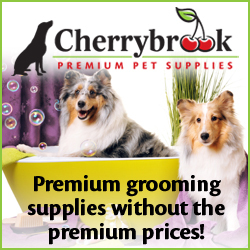 We all need a good whitening shampoo for our stained and dirty dogs so this product is the best for you if you want to purchase in bulk All Systems Professional Whitening Shampoo There are other options on the link for a variety of Shampoos for the busy Groomer. Please leave us your feedback and we will search it for you at no charge we couldn’t list them all in here but we will up date these products from time to time with the latest available products.